Come and watch the New Room Community Choir celebrate the end of the summer term in a free concert. They will be showcasing all the great songs they have sung this term. With a varied repertoire there will be songs from the Sound of Music to a traditional Swedish folk song and everything in between. 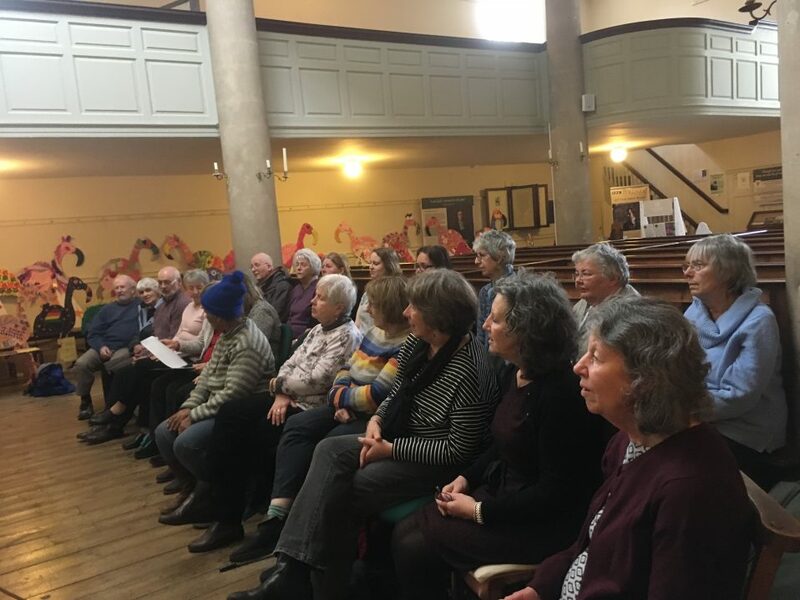 The New Room Community Choir started in January 2018. The choir meets weekly during term time on a Wednesday lunchtime 12.15 – 1pm. Anyone can drop by and join in. Members do not have to audition, read music and it is free. 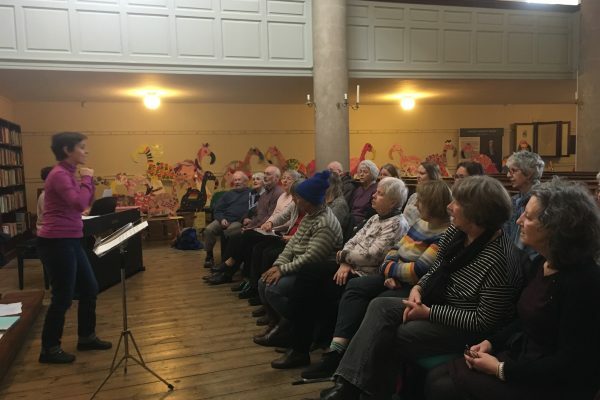 With a varied repertoire of pop, folk, rock, jazz, blues and gospel, and open to requests, the New Room Community Choir hopes to bring people together through singing. 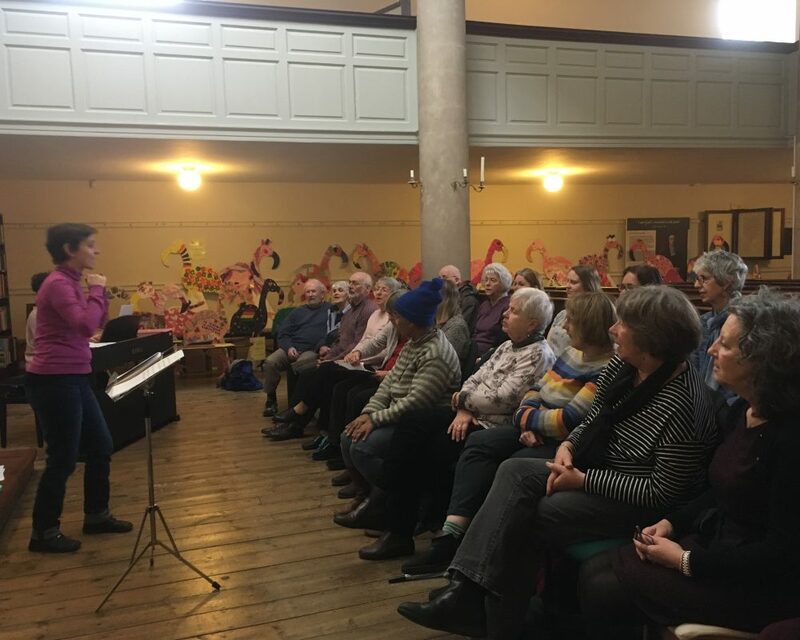 For choir leaders, Rose and Judit, the idea of the New Room Community Choir is to create a relaxed space to enjoy singing together and have fun learning new songs. The end of term concert is taking place on Make Music Day which is a free celebration of music around the world on June 21st. Launched in 1982 in France as the Fête de la Musique, it is now held on the same day in more than 800 cities in 120 countries.